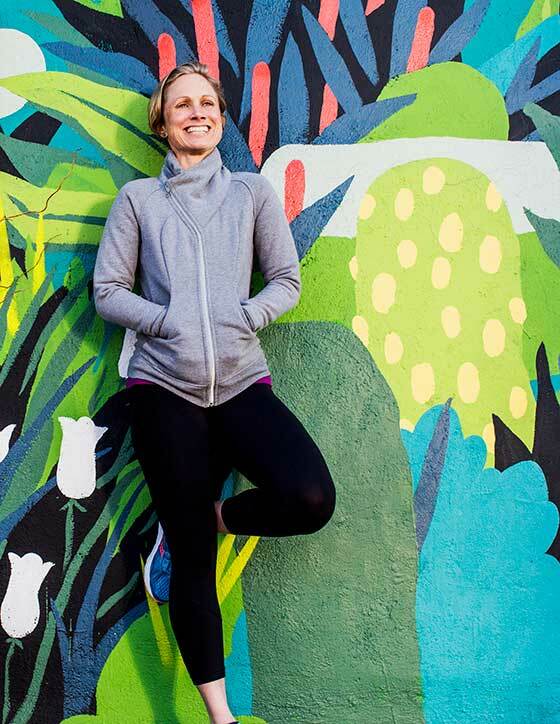 “I am where I am at because of my grandfather, and LUNA Bar,” says 35-year-old Terra Castro, an IronMan triathlete-turned ultra-distance trail runner and passionate businesswoman. She got her start in high school when she did a multisport race with her grandfather and qualified for the Duathlon World Championships in Germany. That trip to the World Championships would become the first of a half dozen for Castro and one of 15 or so for her grandpa, Bill Olsen. The two have raced together all over the world. 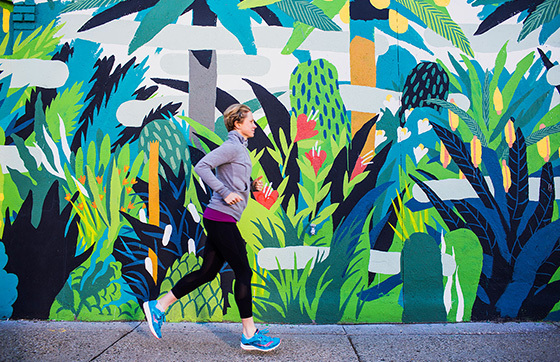 For them, it’s not work; it’s all about being healthy and finding joy in the sport. When Castro says, “bold,” she means it. She’s been a pioneer in fitness training and has continually broken with traditional business models as founder of the “Be Bold Crew”. In early summer of 2005, she took her fitness business mobile when she moved her training programs into a giant cargo van. 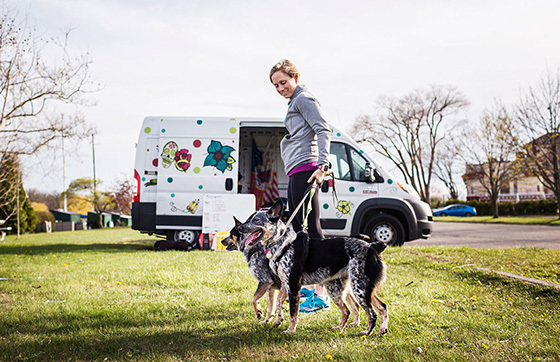 The van is outfitted with all the equipment for boot camps and offers swimming, biking, running and injury prevention sessions all around the city. This past May, Castro once again evolved her business by opening a brick-and-mortar gym called the “Detroit Body Garage,” which now serves as a home base for her, her crew and her clients. Although she hasn’t retired the van just yet—it will still be on the road for special pop-up events. 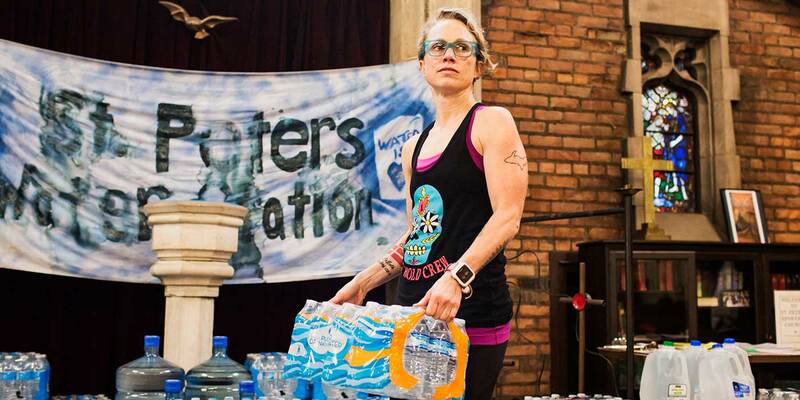 When the Flint Water Crisis of 2014 hit, Castro and members of her Be Bold Training Crew started offering free workouts in exchange for clean water in Detroit. “We rallied the troops in a ‘Stuff the Bus’ campaign, and drove five buses of water to the shelter in Flint,” she says.